The Worried Bird – Musings of a household in semi-rural, central Alabama with interests in birds, gardens, crafts and what goes on in our backyard. If only we could train them to do the whole yard. Every fall the leaves fall from the trees and cover our yard like many other people’s. We tend to collect some of the leaves to use as mulch in the backyard garden. The rest are usually allowed to remain where they are once mowing season ends. We are just not motivated enough to do anything with them. However, this feeling is not universal. A well cleared spot always develops in the middle of the front yard. The birds do not like leaves under their birdfeeder. For them, the leaves get in the way of more important activities. Winter brings us birds that do not nest in our area. Some are just passing through; others are regular winter visitors that come for our bird feeders. We do miss our summer residents, especially the hummingbirds. This year our first hummer arrived on March 20th, later than usual. We enjoyed their antics (and wars) all summer. In October we start keeping careful notes to track our last sighting for the year which is usually sometime before the 14th. It is our practice to leave the feeders up until the end of the month which turned out to be a good thing this year. After a gap of several days we had a sudden flurry of visitors, 2 or 3 at a time with our last sighting on October 28th. Bad weather somewhere must have delayed this last group but we were glad to see them for whatever reason. This hummingbird was a summer resident in a surprisingly peaceful mood. Occasionally we run into an issue with our birdfeeders. This time the birdbaths were probably just as much to blame. Then again, the hawk knows that there will probably be something he/she? considers to be food here. We are not 100% positive, but we believe that this Coopers Hawk caught a young Northern Mockingbird in our front yard. While frequently seen attempting to scare insects out of cover in our slightly long grass, they also seem to have a fascination for Pennington seed blocks. Mockingbirds are also one the top three splashers (emptying the birdbath by splashing the water out while bathing) in our birdbaths. This happens sometimes and while it is a natural event, it is not necessarily one we like to see. We have recently started a lettuce garden in a new AeroGarden. We have had an older model for quite some time. We are looking forward to having a couple of salads a week off the garden once it has had a chance to grow. Lettuce can always be grown outside, but there can be temperature problems. Here that typically means too hot in the summer, but occasionally winter steps in as well, In the above picture are pepper leaves in the foreground and a rarer that I would like snow visible out the window in the background. Originally this AeroGarden was focused on growing lettuce but then I discovered the usefulness of Jalapeno peppers. Our last attempt to grow peppers hit a snag when they didn’t sprout properly. They came up, but they grew much slower than they should (one of them only came up about 6 inches). Their leaves also looked a bit funny. We are hoping the problem is that the garden was not cleaned out well enough after the previous set of peppers, so we are going to try again soon with another batch, and fresh fertilizer just in case. They start off so small. (There are 2 eggs in the picture above) On their way to becoming eating machines. 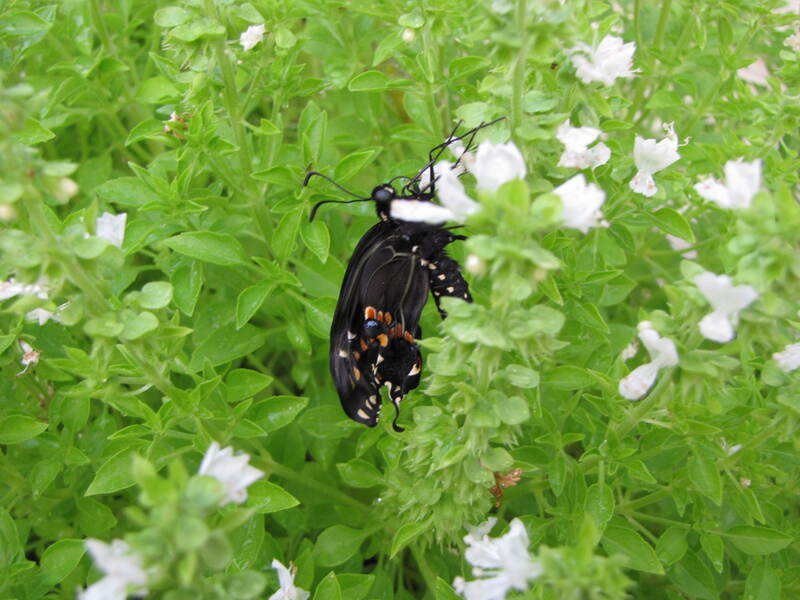 (4 caterpillars near the middle of the picture, click on the image to get a full size version) The black swallowtail after pumping his wings full. This set of pictures was from a couple of years ago. 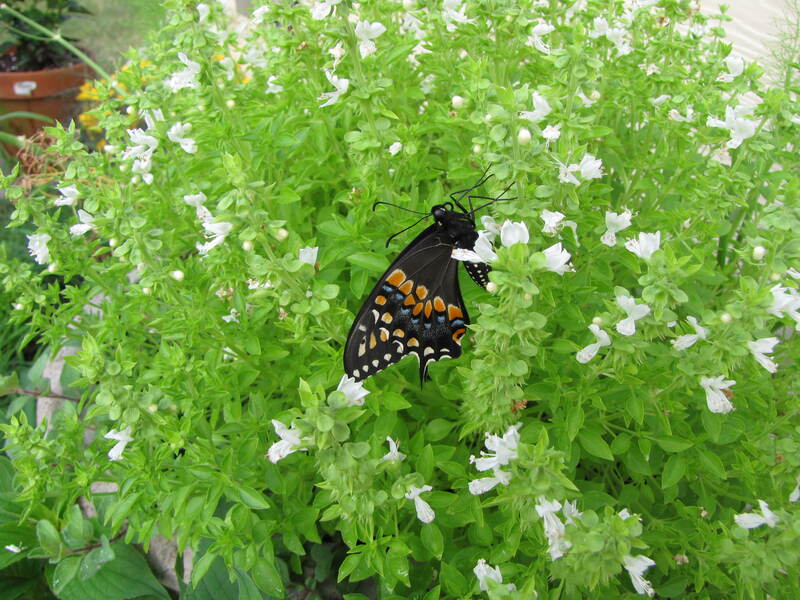 Usually, the butterflies from the first batch of the year emerge around the beginning of July. 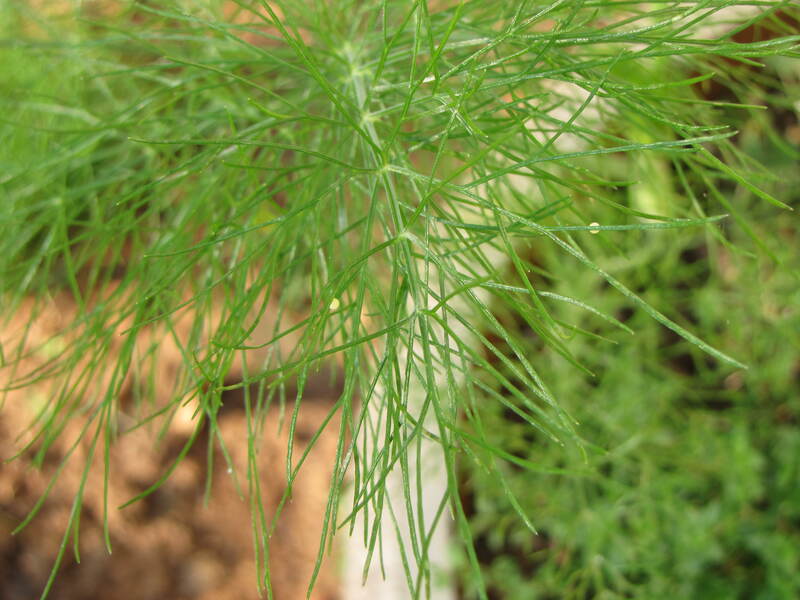 As mentioned in the last post, we will often plant fennel for the purpose of hosting the caterpillars. It doesn’t cost much and seeing the new butterflies is definitely worth it. 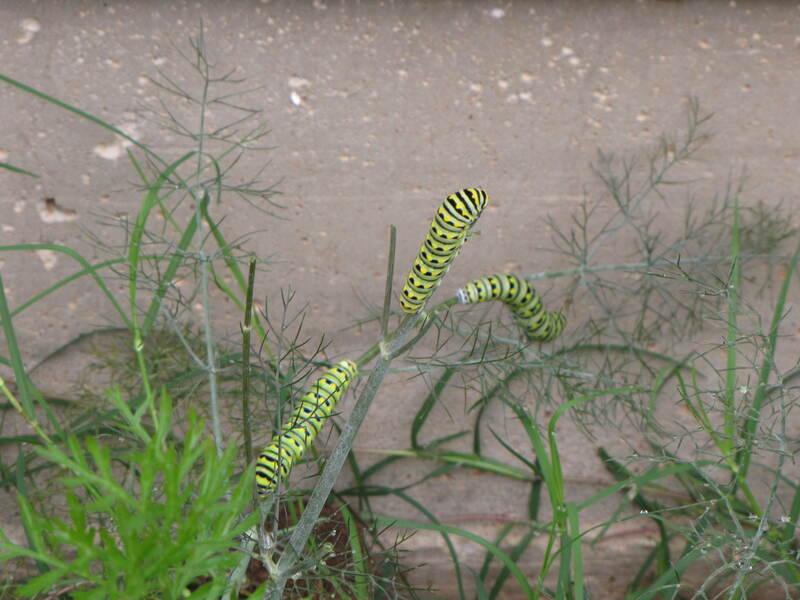 They (Black Swallowtail caterpillars) will eat parsley, carrots, dill and several other related plants. The ones in our area seem to prefer fennel. One other interesting thing happened with the fennel. It grew back the next year. If the conditions are right it is a biennial or even a perennial. It was even bigger than the year before, but the caterpillars seemed up to the challenge. 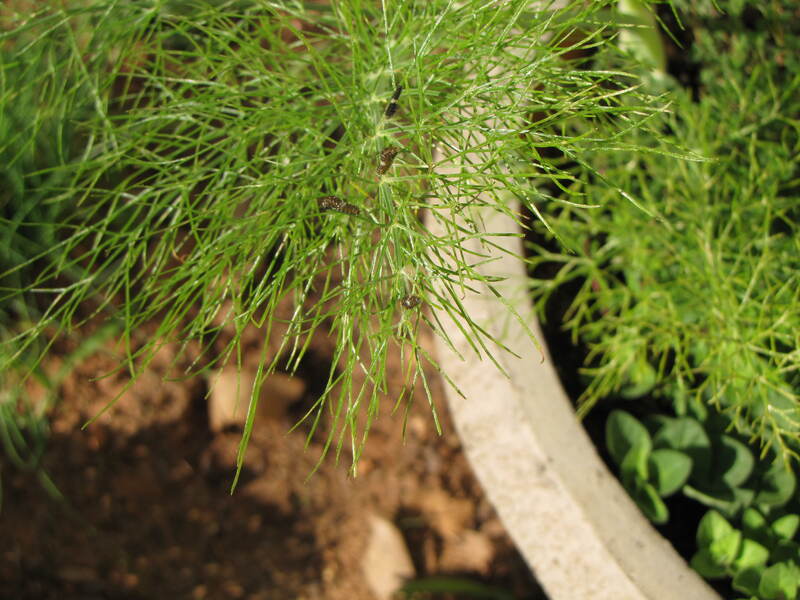 We will sometimes plant fennel to feed them. This is what the previous butterfly looked like around a couple of weeks earlier (not necessarily the same individual). Things have been a little busy/stressful lately, so here is a random butterfly to look at. The semiannual updates to Windows 10 have good points and bad points. They tend to come with new features, which depending on your interests can be a very good thing. They also come with problems, and I am not talking about the bugs which come standard in any new software. The biggest problem I have with the updates is that settings are changed. I initially had problems with Bluetooth on my computer. Windows was turning the device off and forgetting about it. In diagnosing a problem, I discovered that my motherboard, targeted at all operating systems and not just Windows, wasn’t compatible with Fast Startup in the configuration I was forced to use. (The Windows focused mode didn’t like the SSD I was using). To avoid issues with improper shutdowns, I turned fast startup off. During my debugging I did a manual Windows Update in case the problem had been fixed in the update. It triggered that Spring’s Creators Update. After it installed, the error messages were back. The update, without any notification, had turned fast startup back on. As a result of this, I looked through the various settings I have customized on my computer. This Spring’s problem was with the lock screen. While some of these changes are deliberate, other changes appear to be random. The important point is, while enjoying any new features you like, make sure that your settings have not been changed before they cause problems. 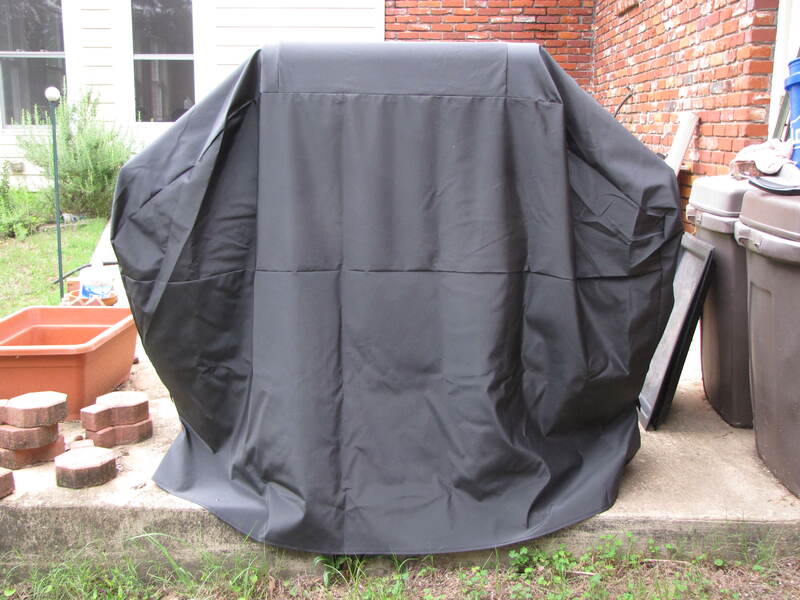 After the Wren tried to build a nest in our last grill, we purchased a cover for our new grill. Weather is going to keep it covered today (Alberto).